The pricing is approximate. Prices may vary depending on configuration and additional equipment. The dredger has been modified in 2016. New auger-cylinders have been installed. 2 hydraulic motors with auger-cylinders for water navigation have been installed. They are mounted on swing arms in order to be able to lift them while navigating through reeds, meadow, quagmire, etc. 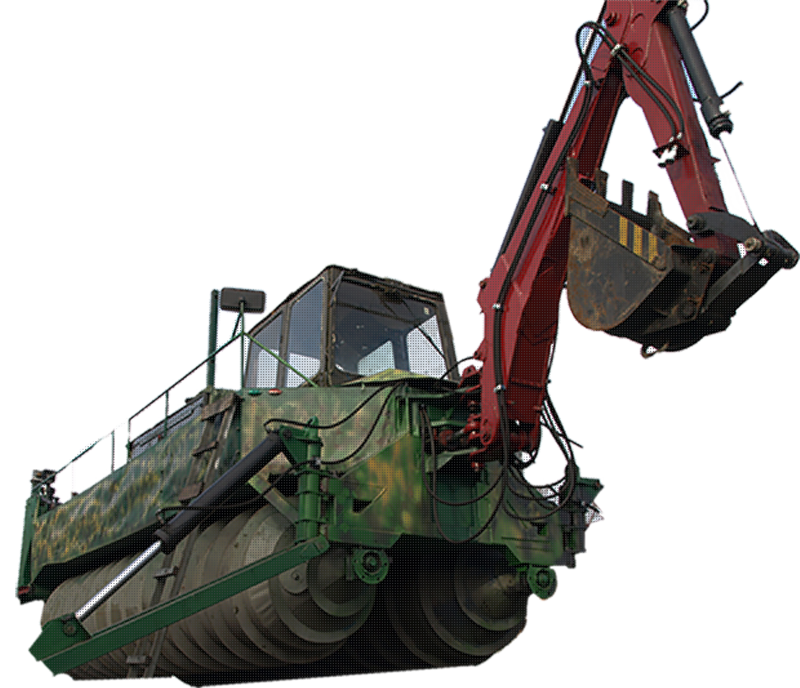 The cost of the work that cannot be done with any other machinery is comparable to the price of a conventional crane or crawler excavator! There simply are no alternatives. Oil cooler, full-flow filtration system, thermal protection of the tank and hydraulic pumps.